Archiseller arrives, the “enabler” of eCommerce and marketplace developed by Edilportale in synergy with BigMat and other important players in the supply chain. Driven by some brands of DIY retailers, the construction sector has also begun to explore the possibility of selling its products online. It is from this requirement that Edilportale, together with the two main groups of distributors of building materials – BigMat and Made that with over 400 Sales outlets cover the whole Italian territory -, has taken up the challenge and has recently launched Archiseller: a platform “ECommerce enabler” made specifically for the building industry by Edilportale specialists and available to the entire construction supply chain as well as the end user. A project that has the flavor of a novelty destined to revolutionize the sector and above all the work of design professionals, artisans and companies, which with Archiseller will be able to check in real time prices and availability of the prescribed products, in the reference area of ​​the site. “Archiseller is a unique solution, the result of a great experience in the field: the digital / web Edilportale combined with the commercial / logistics of the first partners involved, BigMat and Made” explains Gabriele Nicoli, CEO and co-founder of Archiseller . A platform open to all distributors of Italian building materials and which aims to become an indispensable tool for designers and companies ». It is not just a software, but above all of contents and therefore infoCommerce: the platform contains in fact the technical sheets of thousands of products, complete with price lists daily updated by the team of architects and engineers of Edilportale directly in collaboration with the companies manufacturers. The result of a job that lasted over three years, the platform owes much of its value to not requiring any loading of content by the retailer: the product sheets, complete with descriptions, technical specifications, multimedia files (BIM, video tutorial, data sheets, certifications, etc.) and list prices are “drawn” in real time from a database updated daily. «This – emphasizes Nicoli – allows the retailer to exploit the advantages of an eCommerce without incurring the costs of software investment, but above all by eliminating the costs of content editing and content management often not considered or widely underestimated. The only burden on the retailer is to establish on the website the sales offer and the percentage discount with respect to the list price “. Archiseller Platform is an ambitious project: it is the first platform that allows building dealers to start, in just a few hours, an eCommerce site and also allows to activate the Archiseller Hub mode, with which an additional sales channel is available, that is the Edilportale marketplace. A double sales channel (on its website and on Edilportale.com) which, adding to the traditional one (physical store), is able to intercept the growing demand for online products and to respond to the now unavoidable need for omnichannel. “The eCommerce to be successful requires web positioning and indexing to appear at the top of the search engine results – says Nicoli -. In our case, the notoriety of Edilportale will be, with its 50 million visitors a year, and the indexing of the contents of Edilportale.com to “capture” the users’ request to direct it to the building dealers “. The advantages for customers are obvious, from the availability of a vast catalog of products to choose from to compare prices and find the most convenient prices in the geographical area of ​​interest. Not only. Who will do online shopping thanks to Archiseller will be able to take advantage of two delivery options: the home delivery by the retailer, or the store pick-up also provided in Order & Collect mode, with which retailers can enable their loyal customers to order online instead of physically going to the store. Archiseller also offers the retailer an additional delivery service through national freight forwarders to allow a quick order fulfillment. «The adoption of Archiseller – continues the CEO – will make it possible to enhance the role of specialized stores in terms of know-how, logistics, pre- and after-sales assistance and at the same time exploit all the potential that online sales offers to the end user such as the extension of the product range treated, the acceleration and efficiency of the sales process and greater interaction between the seller and the final customer “. An obligatory step that the two main players in the sector of distribution of building materials, BigMat and Made, have decided to carry out together becoming part of Archiseller. 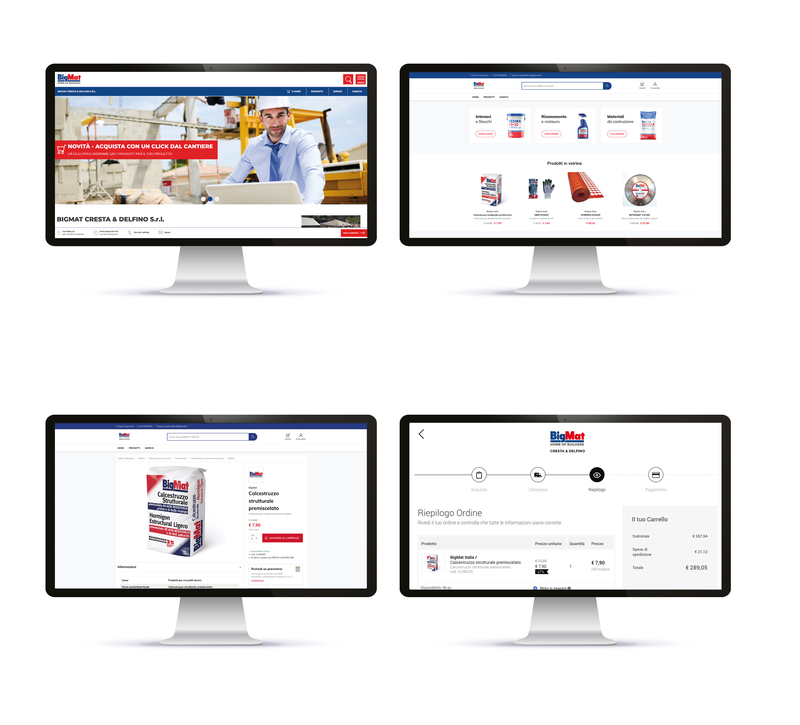 “It was only a matter of time – explains Rocco Alfano, president of BigMat Italia -, responding to the needs of the new market now accustomed to the logic of eCommerce was a duty if not necessary also for the construction market. Our choice, after many analyzes, has fallen on the reliability of the Archiseller system and the innovative site formula, which combines the needs of the entire supply chain in respect of the market “. Thanks to the Archiseller platform, on the www.bigmat.it site it is now possible to search and discover all the BigMat stores that sell online. Technical sheets, installation instructions, prices and much more on thousands of products to design, build and renovate; purchased online and also available in BigMat stores throughout the country. 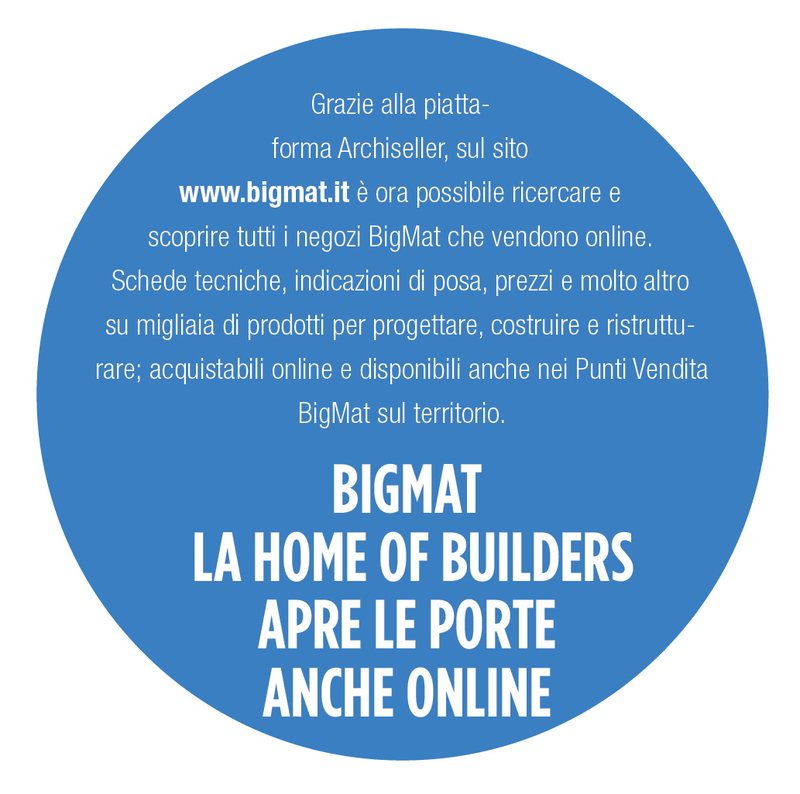 BigMat, founded in 1981, is the leading group in Italy and in Europe of Points of Sale of materials to build, renovate and renovate. With over 880 points of sale (over 195 in Italy) it is present in 8 countries (Belgium, France, Italy, Portugal, Czech Republic, Slovakia, Spain and since 2015 also in Malta) and has a total turnover of over 2 billion euros. BigMat is aimed at professionals in the construction sector, but also to individuals, offering products and construction systems for the construction of eco-sustainable buildings and high living comfort. Each BigMat Point of Sale is a specialized center for cutting-edge and environment-friendly solutions, ranging from building materials to wood systems, from interior finishes to exterior claddings and furnishings. The BigMat brand is also used to identify a line of professional products for all the needs of the construction worker and the advanced and competent enthusiast. BigMat also caters to private individuals, architects and interior designers to help them design and select materials for renovation, restyling or creating new rooms in the home, thanks to exhibition spaces throughout the country and thanks to HABIMAT, a network of specialized interior showrooms. BigMat International, based in Luxembourg, is in charge of facilitating the exchange of experience and knowledge between the Members and the central offices of the countries where the BigMat brand is present. The organization of the International Architecture Prize (since 2013) is part of the initiatives promoted at European level by BigMat International, such as the sponsorship of the FDJ BigMat cycling team in 2012 or the definition in 2015 of a new positioning and of the new BigMat brand – Home of Builders.